Actor Brad Pitt says he is not responsible for faulty homes built and sold by his Make It Right charity to victims of Hurricane Katrina. 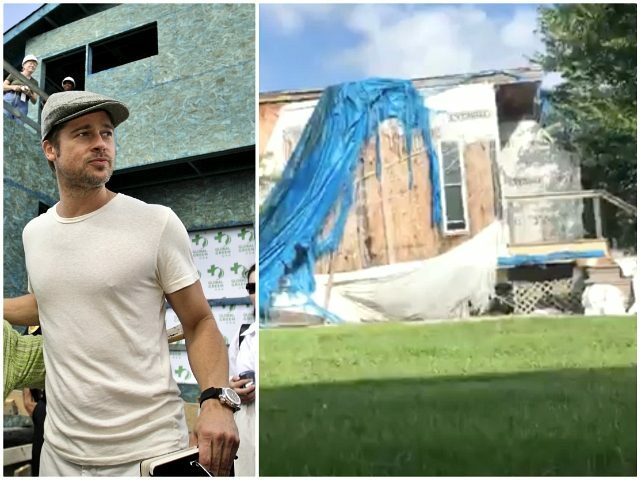 In April of 2006, some eight months after the flooding of the Ninth Ward in the city of New Orleans, Brad Pitt and Make It Right rode on a white horse promising low-cost housing for the homeless that would also be eco-friendly. By 2016, Pitt reported that his charity had constructed some 109 homes for $27 million. According to NBC News, though, a majority of those homes are now vacant. Earlier this year, a class action suit was filed against the actor and Make It Right. On Monday, according to the Blast, Pitt filed paperwork “demanding” the lawsuit against him be tossed out. While Pitt is claiming he is not personally responsible, he is not saying the same about Make It Right, where he serves as director. While Pitt obviously does not want to be sued, the New York Post reported in August that Pitt had already spent million of his own dollars to fix the homes.